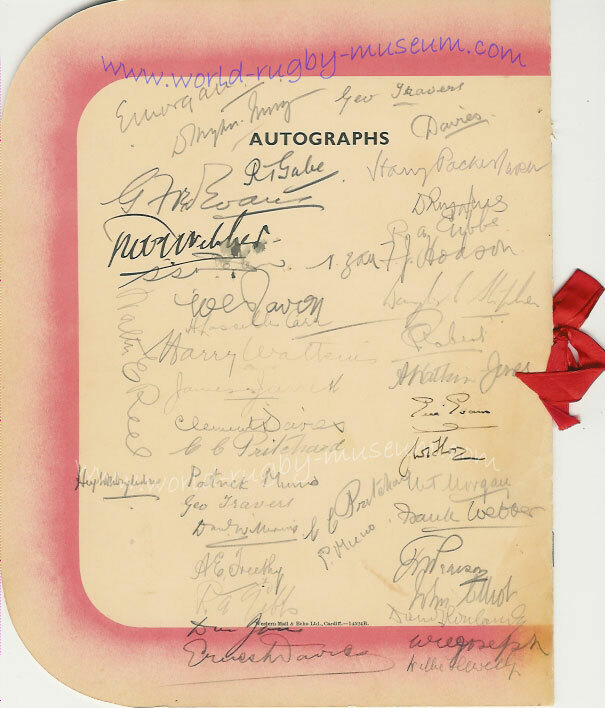 WJ 'John' Hoare known as 'Old Stager' was one of the leading rugby journalists of the 1920s & 30s in Wales. Almost as popular as the players themselves 'OId Stager' amongst other things was invited to kick off in charity matches and give talks on the tactics of the game. 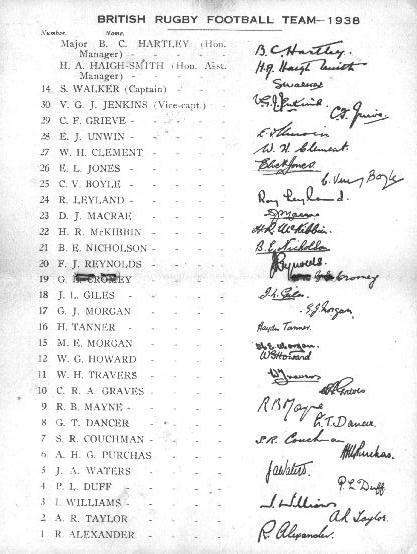 As an influential member of the South Wales press core, his criticism of the Welsh selection policy in the 1920s led to the creation of a five man selection panel. 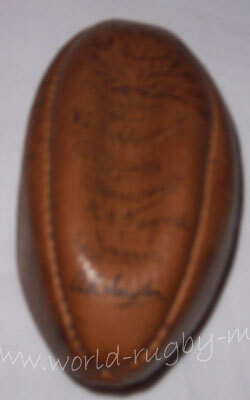 He then named them the 'Big Five', a term which became as famous as the team itself. 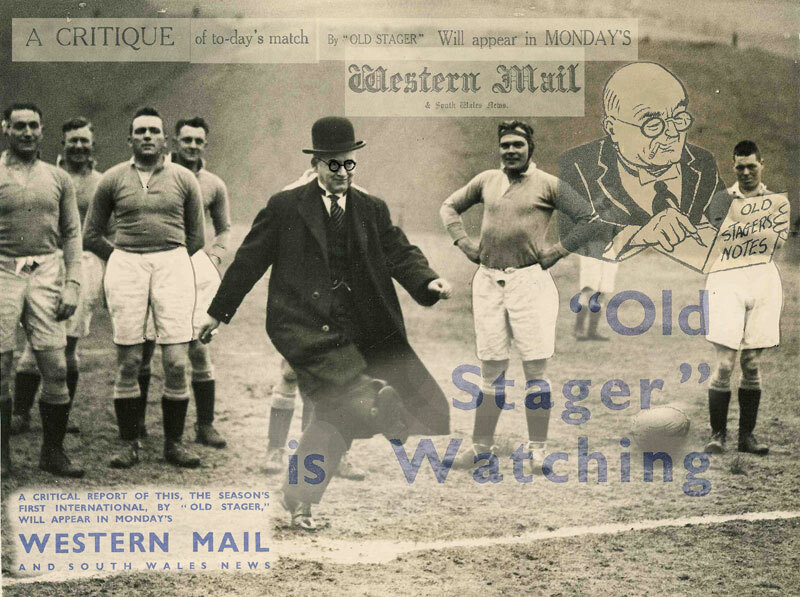 To avoid confusion, there were two 'Old Stagers', the first 'JR Stephens' covered rugby in South Wales around the 1890s to early 1900s, our Old Stager was the SW Echo, SW Argus & Western Mail writer of the 1920s and 1930s, he also wrote for some of the leading London based dailies under pen names. 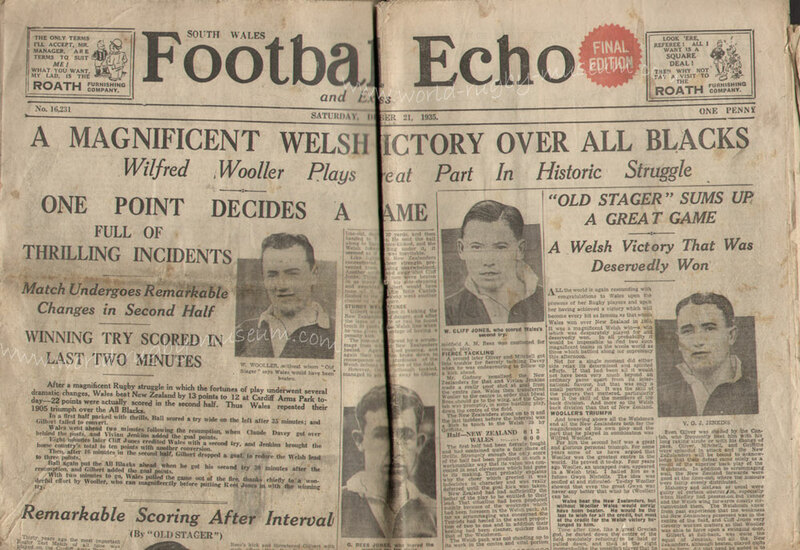 He was a prolific writer, a fine example of his work was the front page of the South Wales Football Echo on the day when Wales defeated New Zealand in 1935, almost the complete front page is written by Old Stager, this for an evening paper which would hit the streets within 90 minutes of the match finishing, a phenomenal feat ! 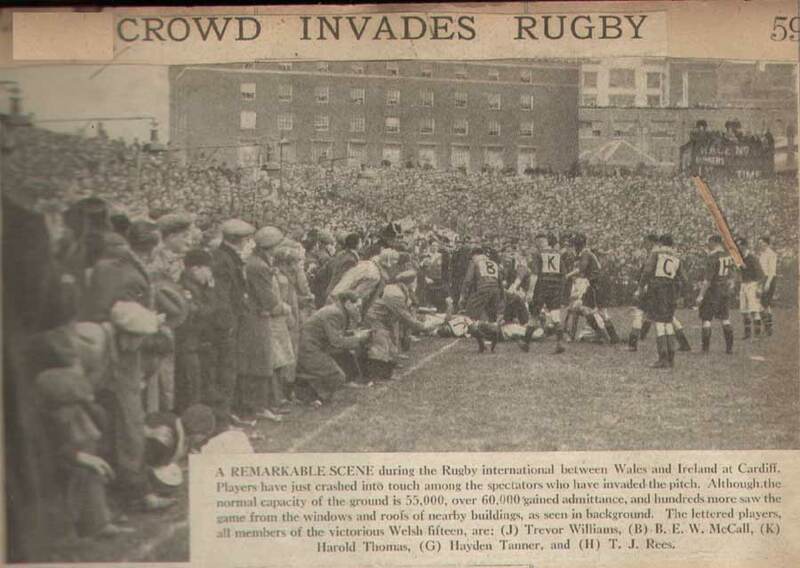 Wales triumphed 3 - 0 in this championship decider at Cardiff Arms Park, Vivian Jenkins kicking the vital penalty goal to clinch the title for Wales. 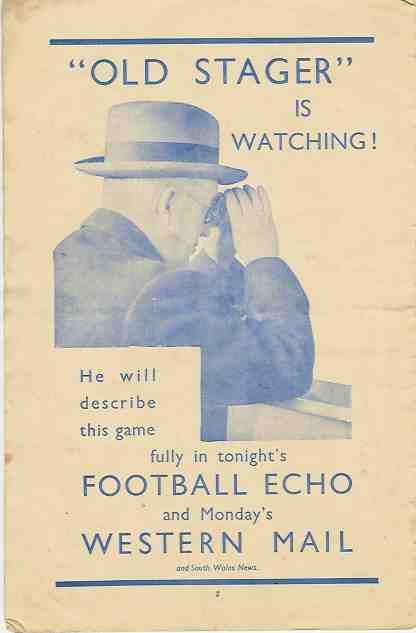 The main headlines however were for the 70,000 crowd who squeezed themselves into the 55,000 capacity stadium. 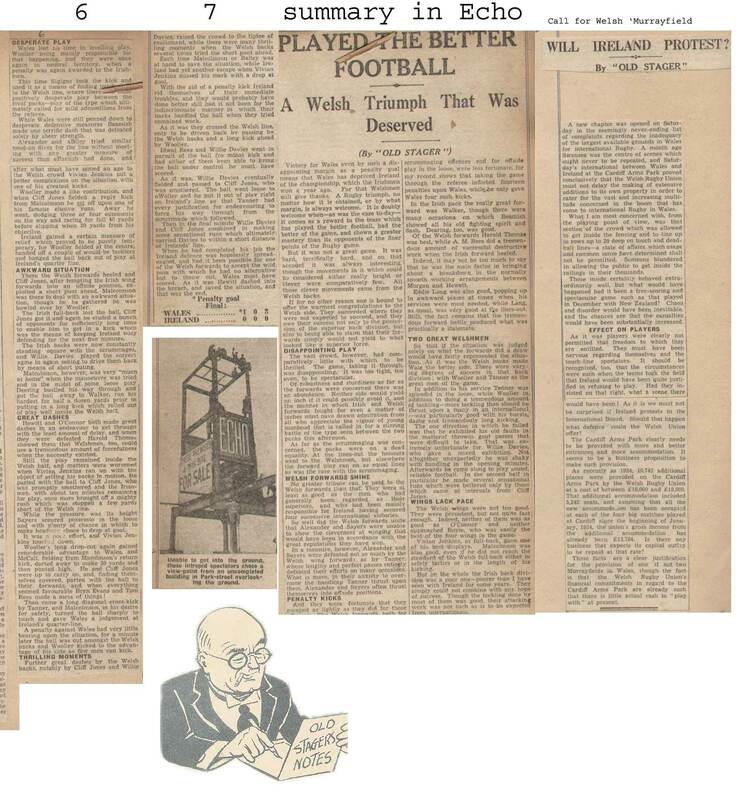 The overspill onto the pitch meant that players and spectators alike were at risk from injury, likewise the crush in the terraces produced one fatality and several injuries. 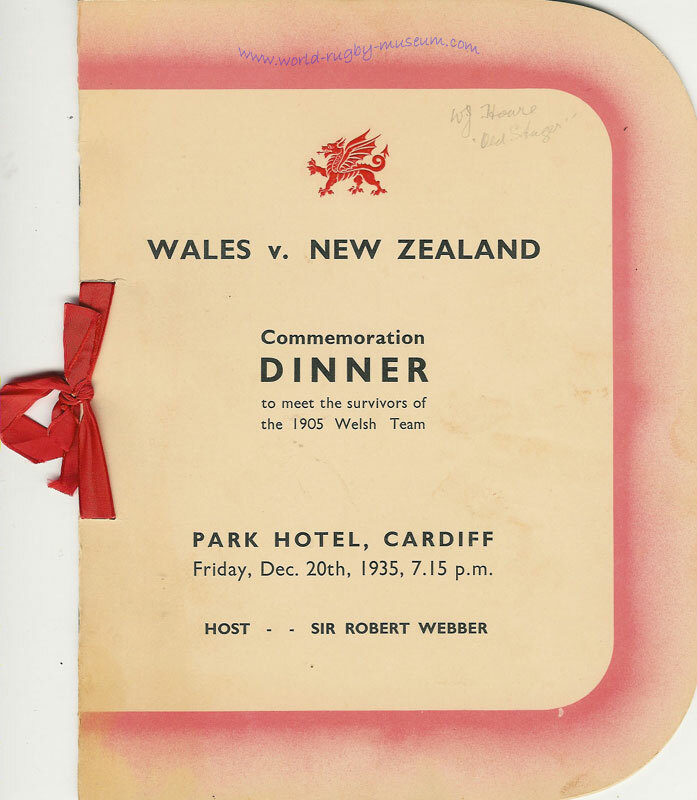 Old Stager calls heartily for a main stadium for Welsh rugby at either Cardiff or Swansea in his post match Western Mail and South Wales Echo reports. 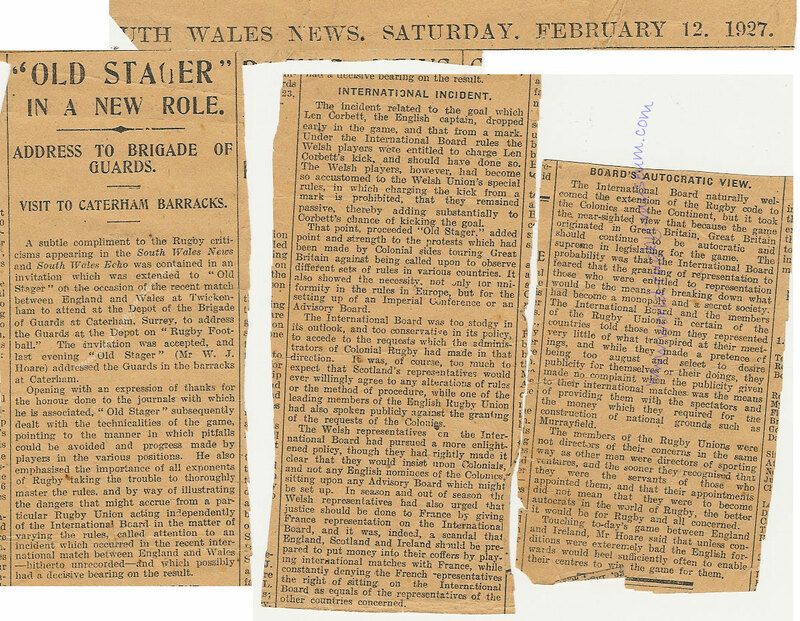 Old Stager was invited to address the 'Brigade of Guards' at Caterham Barracks in 1927. 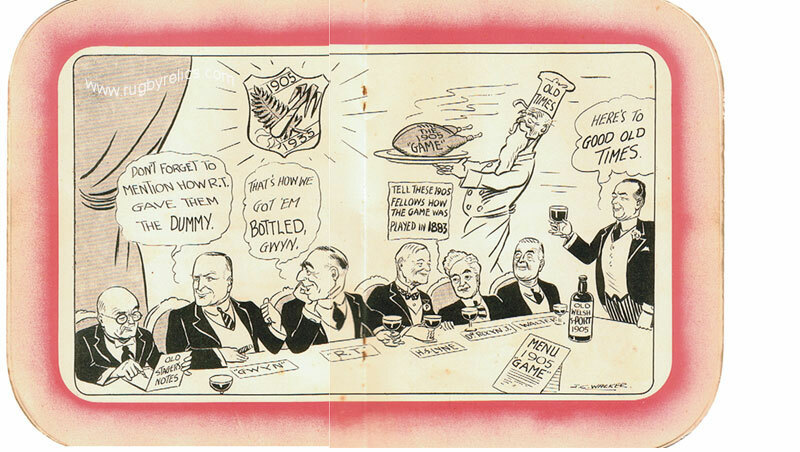 During his talk he called for a uniformity of rules amongst nations and for International Board to accept France, please click on the illustration to the left for the full report. 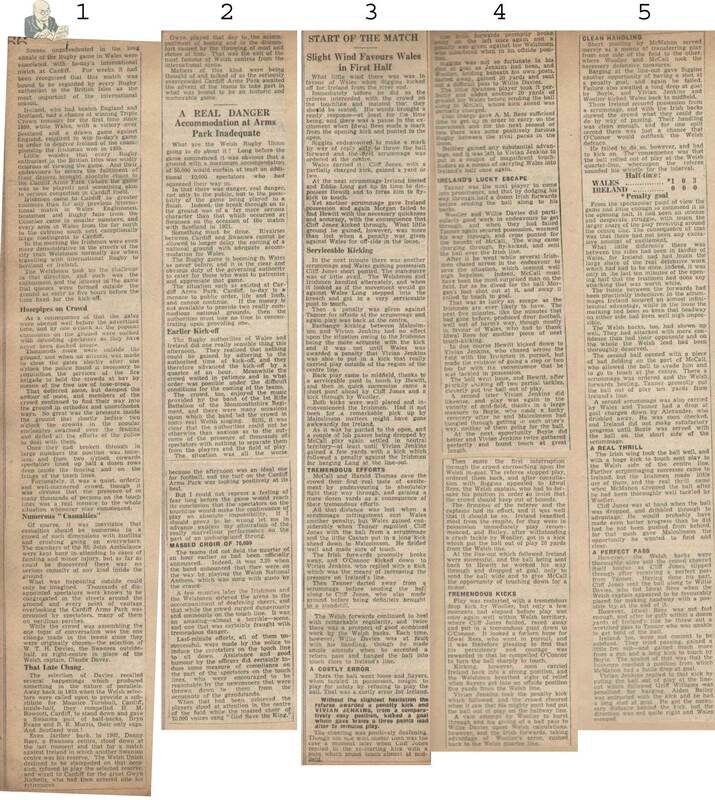 We are looking for match reports and newspaper articles written by Old Stager, especially relating to the 'Big Five'. Any help provided will be credited on this 'Old Stager' page when complete. 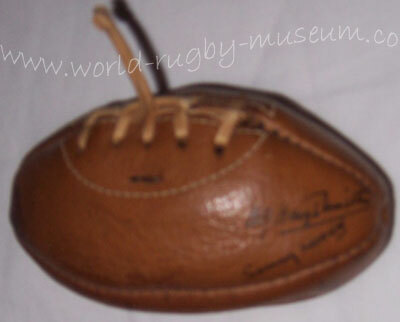 Please CLICK HERE to email us at World Rugby Museum if you are able to help !